FREE IS MY LIFE: MOVIE REVIEW: "Premium Rush"
Premium Rush knows its audience includes those looking for a fast summer "popcorn flick," and it definitely panders to them. 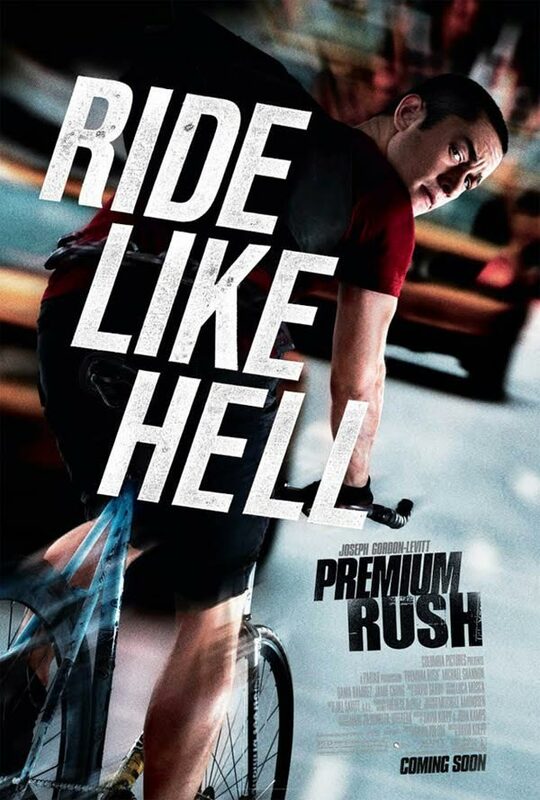 That being said, it lives up to its poster slogan ("Ride Like Hell") and Joseph Gordon-Levitt delivers a strong performance throughout, even though most of the time he's weaving in and out of traffic in downtown Manhattan. Wilee (Gordon-Levitt, 50/50) can't stand the idea of wearing a suit and working at a desk, and he loves to ride, so his job - that of a bike messenger - is ideal for him. He's perfected dodging in and out of traffic and getting packages and envelopes where they need to be on time. When he receives an envelope at Columbia University, where he used to attend law school, he is told that it's important that it gets to Chinatown by 7pm; when a dirty cop (Michael Shannon, TV's Boardwalk Empire) starts stalking him in order to get the envelope, however, Wilee realizes that whatever the envelope contains is very important, and it must get to its recipient before the cop gets his hands on it. Michael Shannon has a very distinctive, almost grating voice (and a "unique" laugh as well) and he was perfect in the role of the rogue cop. I'm not sure if Gordon-Levitt did his own stunts and riding, but they were fantastic to watch, and there were a lot of car-bike chase scenes that you usually don't see in movies; usually you get one car chasing another, not a car chasing a bicyclist. There was also a running gag with a bike cop that the movie kept on returning to, and his relationship with Gordon-Levitt's character was a good comedic break in the film. Yes, see this movie. It's a nice end-of-summer popcorn film that is just the right runtime and won't leave you bored. The plot is a little contrived but the stunts and bike riding in the movie definitely make up for it, and Joseph Gordon-Levitt usually is a bright spot in any film he's in; he does very well as a bike messenger in this one. 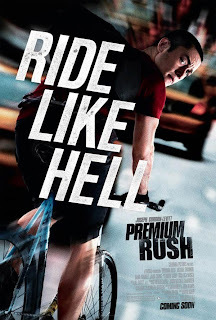 Premium Rush is in theaters today, August 24th, and is rated PG-13 with a runtime of 91 minutes. 4 stars out of 5.